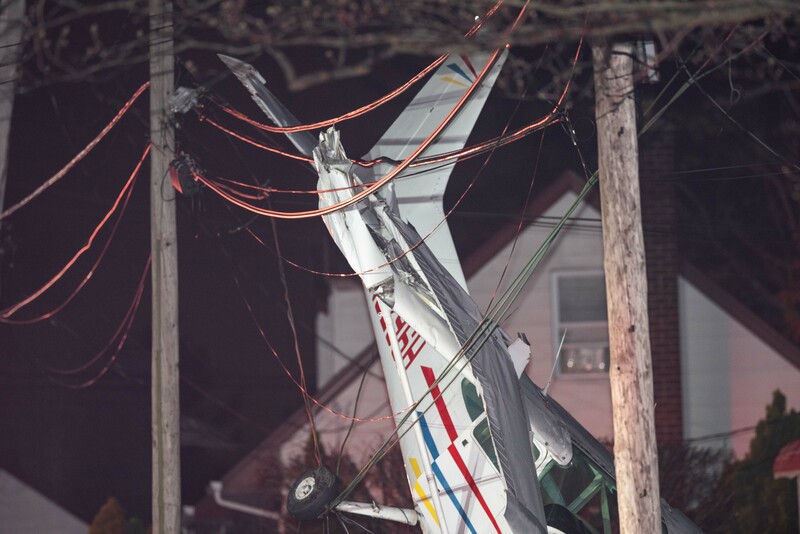 Three men miraculously walked away with minor injuries after the small single engine Cessna aircraft they were in crashed into power lines in a residential area at 125 Clarendon Drive in Valley Stream on Sunday. 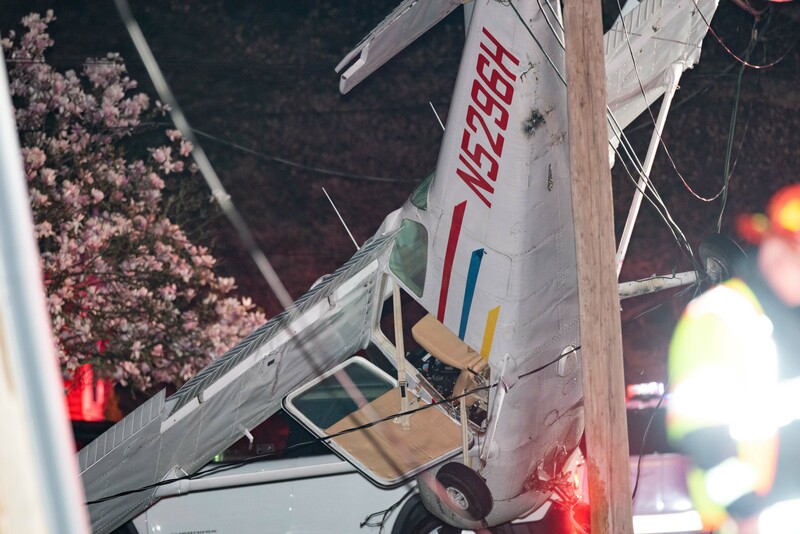 According to Authorities, the plane was being piloted by 27yr old Dongl Kim of Flushing, Queens, with two other men in their twenties aboard. 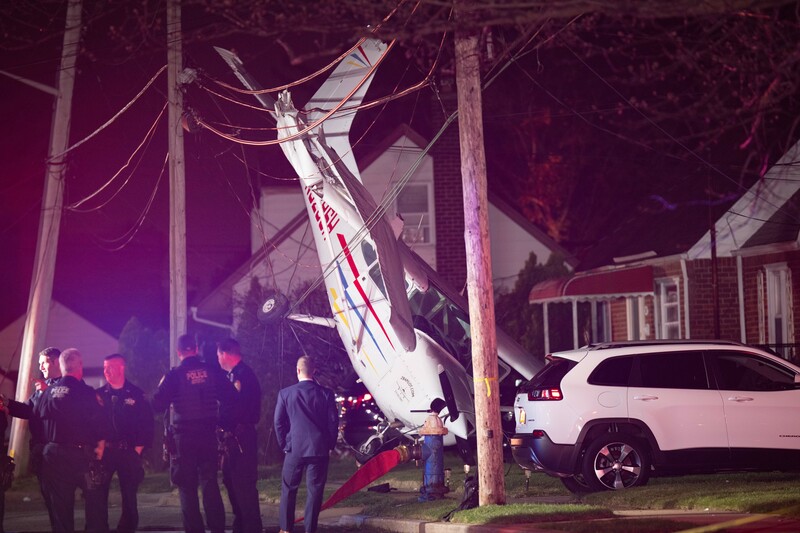 The trio flew from Niagara Falls and were headed to Republic Airport in East Farmingdale, NY. 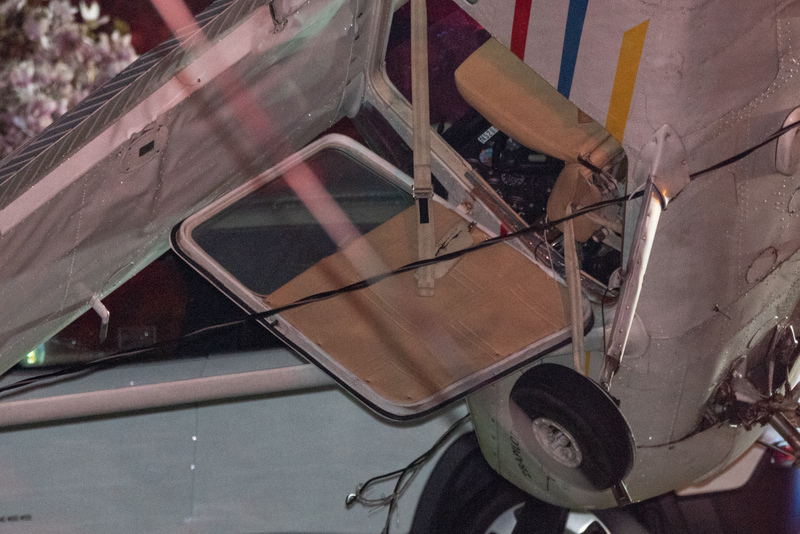 After the Pilot made four failed attempts to land at Republic Airport, Air Traffic Controllers re directed him to John F. Kennedy International Airport. 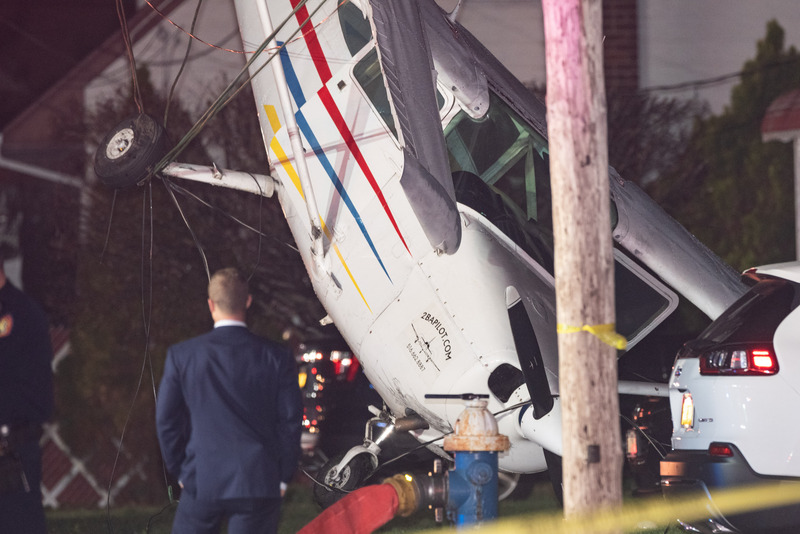 At JFK International Airport, the Pilot made two failed attempts to land before they crashed into the power lines outside a residence at 125 Clarendon Drive. The area suffered from fog conditions at the time and it is not known if this weather played a role in the Pilots’ six failed landing attempts. “Luckiest three guys I’ve ever seen in my life”, said an official at the scene. 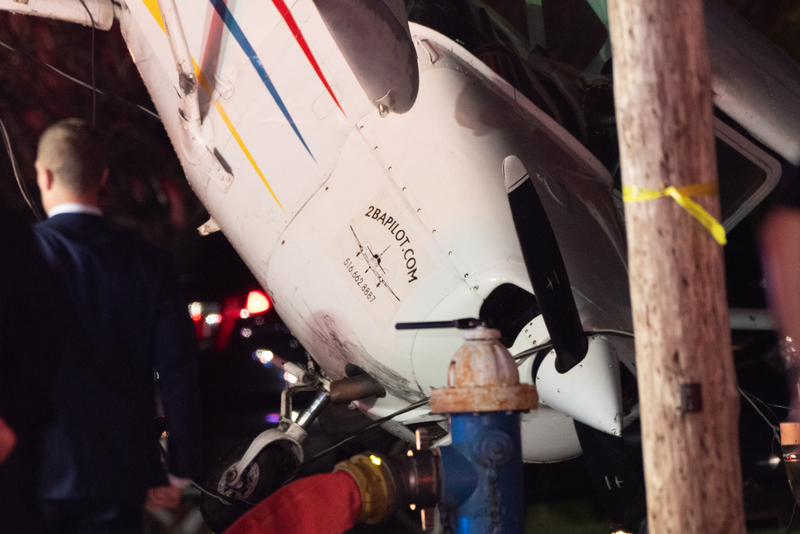 “They nipped the roof of the Church down the block then came in and landed into the wires”. 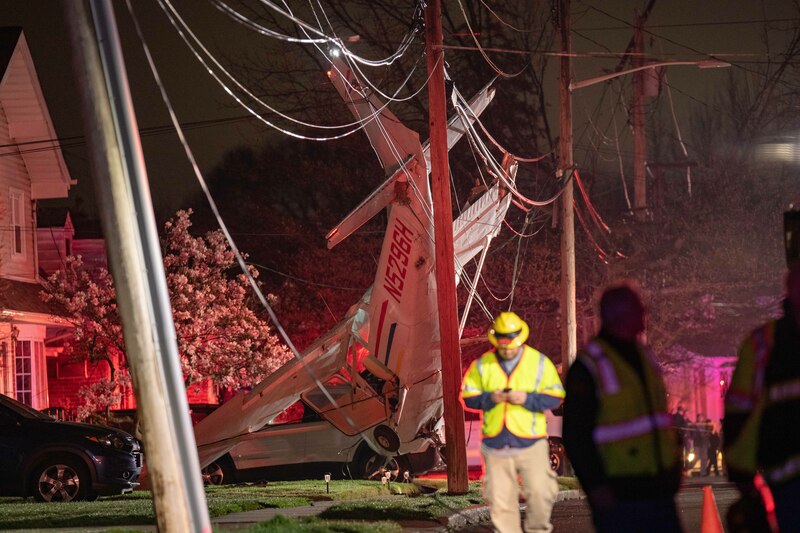 “The wires held them up from actually hitting the ground”. 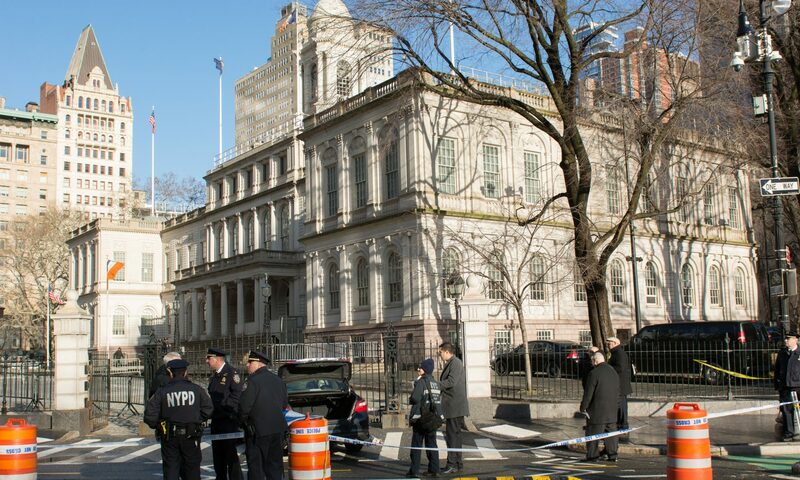 “When the Cops got here the three men were sitting on the sidewalk” the official stated. An Investigation into the crash is ongoing.